South Africa’s shining culinary talents were honoured at the 2016 Eat Out Mercedes-Benz Restaurant Awards on Sunday, 20 November. 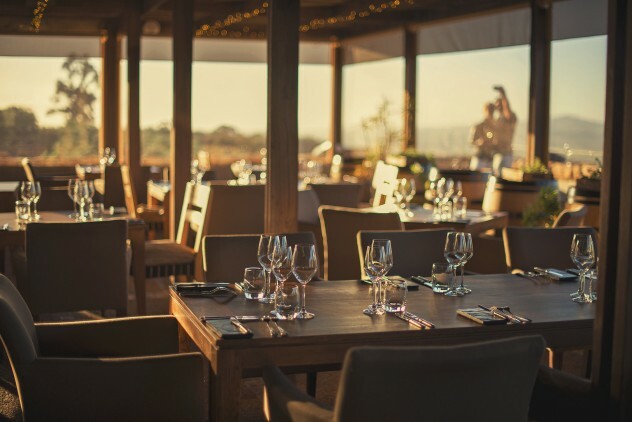 Meet the Top 10 restaurants in South Africa right now. For an unprecedented fifth year running, Luke Dale-Roberts takes the number one spot. This is food entertainment as richly layered and engrossing as a well-written film. 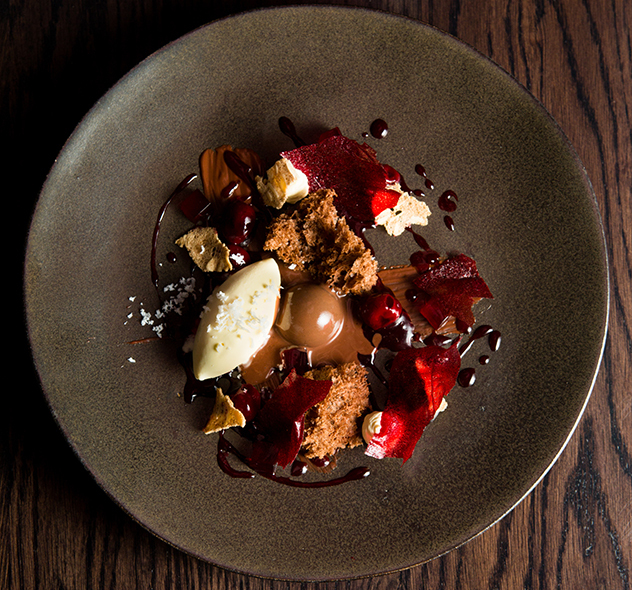 The menu is constantly evolving: Luke has just introduced a new 21-course menu, but his mantra doesn’t change. The focus is on flavour, flavour, flavour. Sit back, relax, and enjoy the show. Highlights: Peking-style quail breast tucked into a mouthful of paper-thin pastry; tender drumsticks of confit quail leg on pine needles with burnt-onion cream and pine-roasted chestnuts; Cape Malay curry-glazed kingklip; and a pre-dessert of scattered fragrant chamomile flowers, friandises soaked in burnt butter, a buttermilk quenelle and roasted sunflower-seed-and-honeycomb crumb. 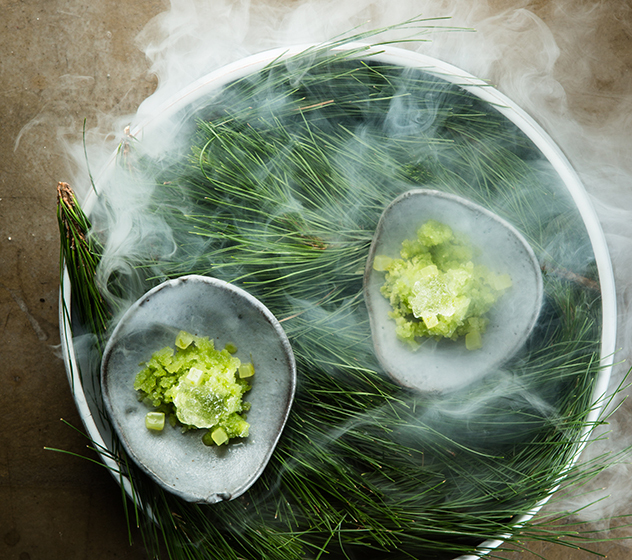 Pine-needle granita with lime-compressed cucumber and gin-and-tonic jelly at The Test Kitchen. Photo by Jan Ras. 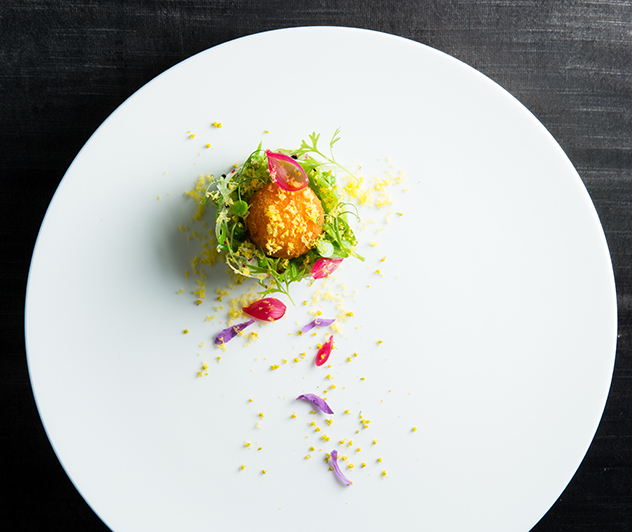 Delicate plating and delicious layers of flavour are the trademarks of Scot Kirton. Dining here is a special, singular experience, with dishes becoming more precise and pitch-perfect as the meal rolls towards completion. 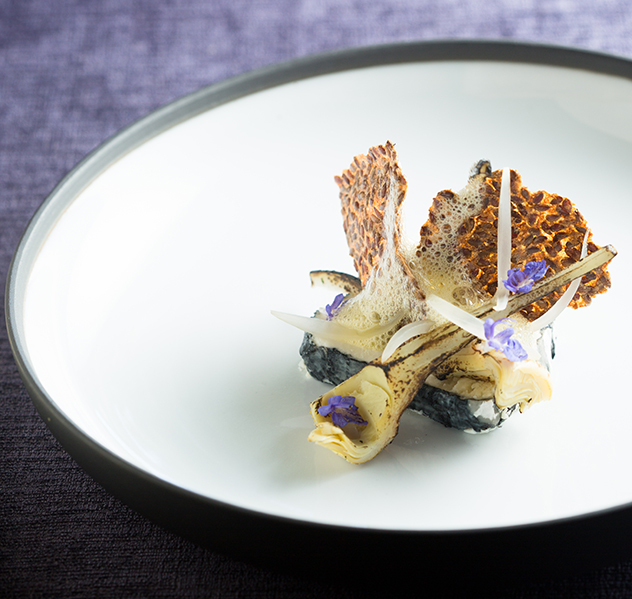 A West Coast oyster with apple, caviar, kalamansi and a light soy dressing is transportive; you won’t want it to end. They’re unable to take the tin-can tuna off the menu, for good reason. A seared scallop with a lollipop quail leg, wing and breast, sensational parsnip purée and braaied sweetcorn arrives before a theatrical Granny Smith sorbet. For mains, go for the Chalmar beef with langoustine, sticky oxtail and peas. Chef James Gaag finishes the dish off at the table, with tongs, a single coal and a dainty copper pot. For dessert, choose between the Three Ages of Boerenkaas or Valrhona Azélia cremeux with Jerusalem artichoke ice cream, grapefruit and hazelnut. Enthralling endings. La Colombe is also the winner of the 2016 Eat Out Nespresso Service Excellence Award, and front-of-house manager Jennifer Hugé took home the first-ever Eat Out John Psillos Award for Outstanding Contribution to Service. Elderflower-cured Norwegian salmon, citrus-dressed king crab, blood orange, melon, basil seed and wood sorrel at La Colombe. Photo by Jan Ras. 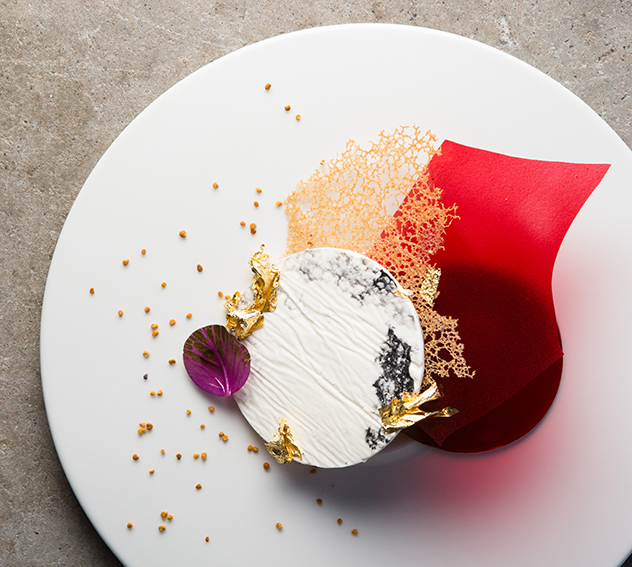 Gregory Czarnecki cements his place in the Top 10 by elevating humble ingredients with style and razor-sharp techniques. The 2016 S.Pellegrino & Acqua Panna Chef of the Year reigns supreme here, consistently turning out food that looks breathtaking and tastes even better. The amuse-bouche, a whipped goat’s cheese mousse, readies the palate for what’s to come. The sea bass ceviche starter is deliciously fresh, served with a salty snoek purée, crunchy celeriac discs and cured fish roe. The beautiful Joostenberg Vlakte duck breast is served with oven-roasted turnips infused with hibiscus, pickled turnip, passion-fruit dressing and a turnip-and-hibiscus purée. Never has the humble turnip been so elevated! Desserts of a blood-peach panna cotta or Tahitian-vanilla vacherin complete the excellent journey, with lovely caramel and chocolate offerings presented with the bill. Belnori Phantom Forest, hibiscus, pollen, pistachio and apple balsamic at The Restaurant at Waterkloof. Photo by Jan Ras. Margot Janse continues to craft stories and surprises with South African ingredients. The chef’s restlessly inventive culinary imagination shows no signs of flagging, although you’ll need to dine here before she leaves at the end of April 2017 to experience it. The eight-course African surprise menu changes according to seasonality of foraged and local ingredients, but what’s consistent is technical perfection, harmony in presentation, and the wow factor on the palate. 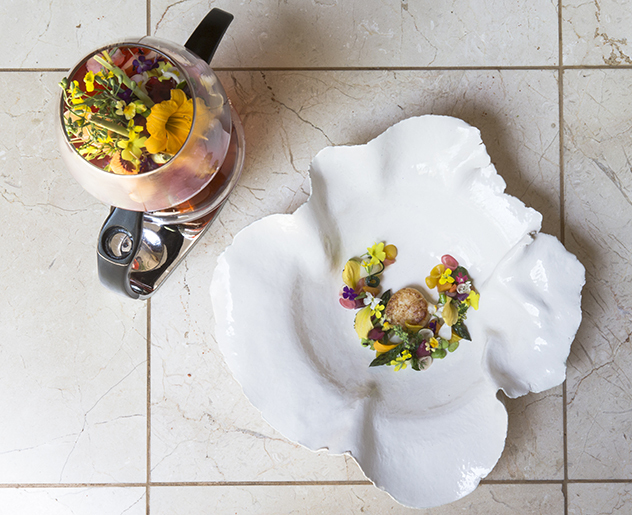 Highlights might be sweetcorn potjie; Madagascan-pepper popcorn and hibiscus-pickled kohlrabi; beetroot spheres with Granny Smith and almonds; and a quail egg dusted with burnt potato powder and served with a nest of savoury kataifi. Exquisite to look at; equally exquisite to eat. A triumphant finish is the Dutch Potato of buchu and passion-fruit ice cream in a white-chocolate shell. Ashed goat’s milk cheese, globe artichoke and olive oil at The Tasting Room at Le Quartier Français. Photo by Jan Ras. Playful and passionate, chef Chantel Dartnall enchants with perfectly prepared dishes that reflect her personality. A meal at Restaurant Mosaic is one that can’t easily be duplicated. Her impeccable plating is outdone only by the absolute deliciousness of the food. 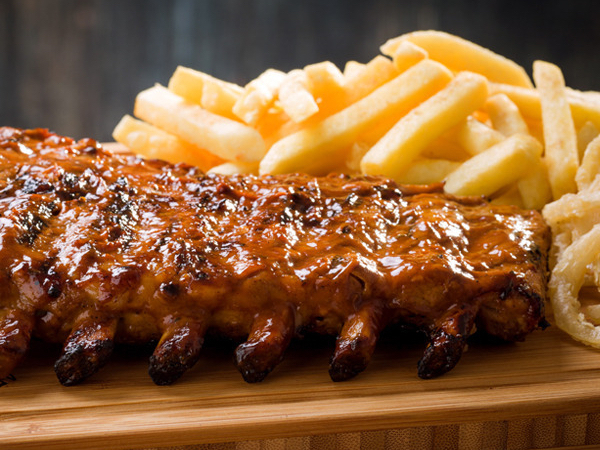 Every bite is layered with flavour, texture and even temperature. A piping-hot courgette velouté surrounding icy asparagus and fava-bean mousse is playful and perfect. Another showstopper is the Irish scallop with maritime broth and pickled radishes, all infused at the table with lemongrass and seaweed. Autumn Leaves comprises beautiful 36-day-matured Angus beef with crispy sweetbreads, mushrooms, deep-fried celeriac leaves and cognac cream. To end, the enchanting Recipe for Romance, which looks like a DIY cake (a bowl of flour, butter cubes, sugar, chocolate and an egg yolk), is anything but. Alchemist Infusion: Saffron tortellini with hibiscus consomméat Restaurant Mosaic at The Orient. Photo by Jan Ras. Bertus Basson is back in the Top 10, thanks to his laid-back and seemingly effortless excellence. The chef continues to be a force to be reckoned with on the Cape culinary scene, with his fine food served in a deceptively laid-back manner. The wheels turn effortlessly: rustic plates are imaginatively presented, with knockout flavours and memorable moments – just ask the fans who flock here. The three-course menu commences with irresistible bread and four mini starters, which could play on olive butter, intense dried black olives, hot-smoked cabbage with celeriac and miso. Highlights are farmyard vegetable terrine with home-cured mustard; sirloin and short rib with roasted cauliflower and gremolata; and a pre-dessert of velvety chocolate mousse with guava and custard, passion-fruit, tapioca and coconut sorbet. 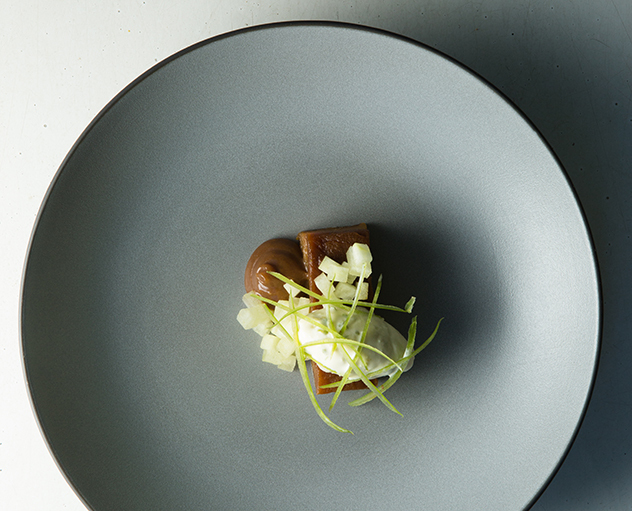 Peter Tempelhoff displays a mastery of flavours, textures and plating in this Constantia haven. 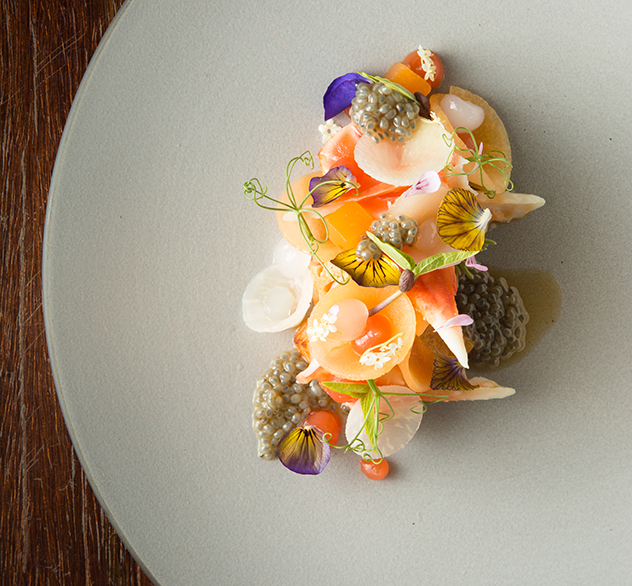 The food is beautifully plated without being so artsy that you feel you can’t touch it. The menus, of which there are usually three, change seasonally. A starter of superbly fresh tuna with kelp, seaweed and tempura sea spaghetti sounds peculiar but is delicious, as is the very imaginative smoked goat’s feta with citrus endive and beet sorbet. 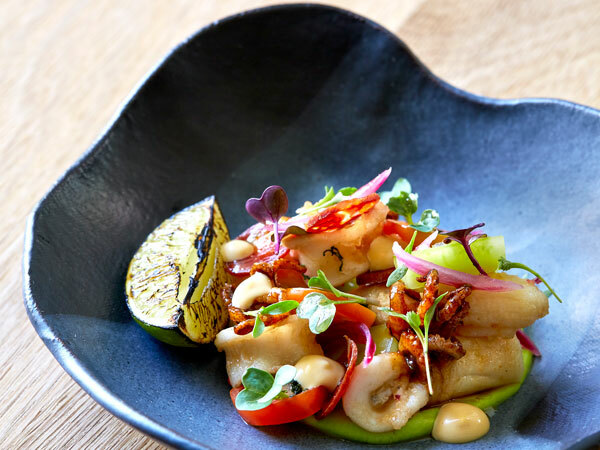 Another highlight is grilled squid and pickled octopus served with calamari-stuffed black ravioli and accents of olives, star anise and ginger. But the pièce de résistance is the Cape Malay kingklip with seafood bisque, cauliflower, blackened onion and sultana. A toffee-and-apple dessert with hazelnuts and meringue is deliciously rich, with cinnamon and sea salt to offset the richness. 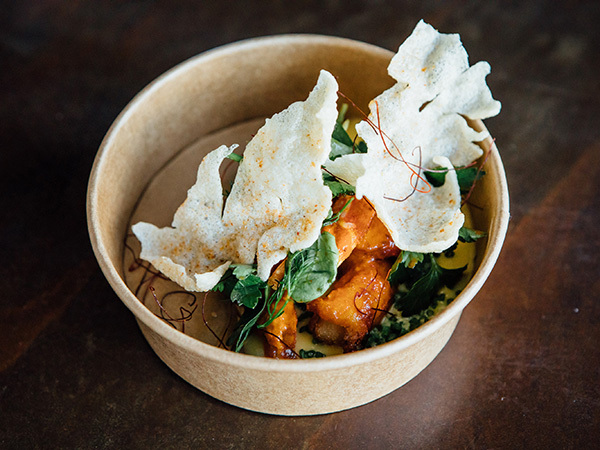 A newcomer to this list, Arno Janse van Rensburg shows flair combining east, south and west in exciting small plates. The chef continues with his farm-to-plate philosophy with a delight in Asian flavours, but adds inspiration gained in South America. Almost every dish is served on a small plate in a cross between tapas and a tasting-menu approach. Local trout is prepared ceviche style with blood orange and corn tortilla chips. Duck breast is turned into prosciutto and served with gooseberries, spring onion and Sriracha. Desserts are also unusual. Dark chocolate mousse is served with segments of different oranges with delightfully crunchy deep-fried quinoa seeds. All quite different and quite delicious. Apple, miso and caramel at The Kitchen at Maison. Photo by Jan Ras. 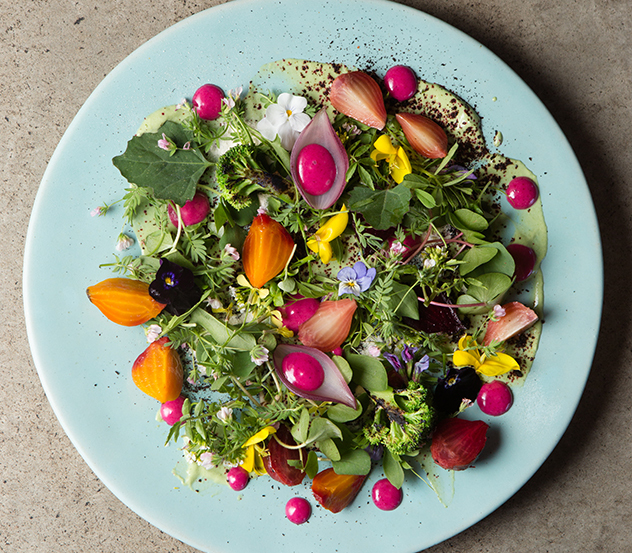 King of foragers, Chris Erasmus tames wild ingredients for his innovative and earthy dishes. 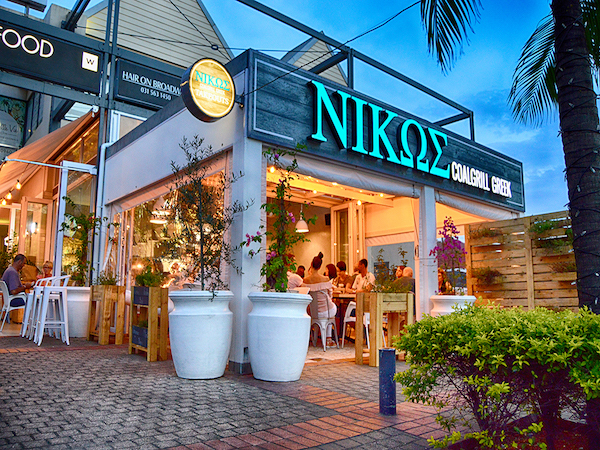 The chef has taken firm root at his own place, attracting a wildly enthusiastic audience from all over. Foraging is the name of the game, with he and his staff often to be found in the hills around Franschhoek, collecting the bounty of the earth. Flavours of sorrel and basil, forest mushrooms and wild herbs, river greens, nettles and pine rings are all used to brilliant effect. The natural theme is continued in slow smoking, charring, glazing and the use of free-range and pasture-fed meats and seafood. 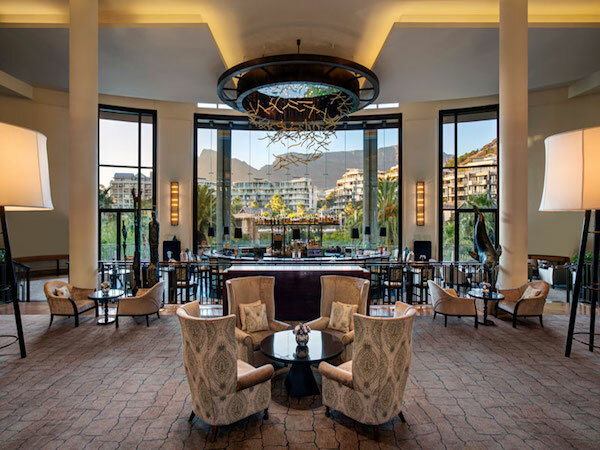 The menu changes with the seasons, and often daily, but one might find dishes like braised kudu shank boudin and grilled springbok served with rich bonemarrow, river cress, mushrooms and wood sorrel. Inventive techniques and local flavours play perfectly with estate wines on Michael Cooke’s magical menu. 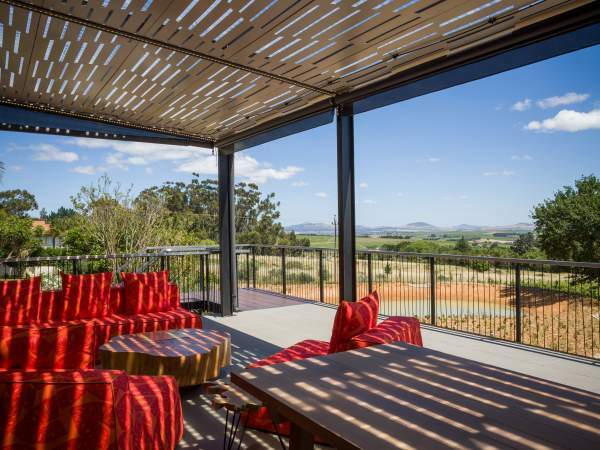 The Tour showcases the chef’s way with farm-fresh ingredients, incorporating Vergelegen produce where possible. Diners delight in seasonal dishes that are playfully plated and expertly paired with the estate’s fine wines. Begin with mini braaibroodjies and scones with wine-infused butter and malted cream cheese, followed by a cheese course with home-made NikNaks. A potjie is served in a miniature cocotte with local shellfish, succulent samphire and salty nori. It’s magic. Pre-dessert will transport you back to childhood with Horlicksey flavours, lemon verbena, a flurry of fennel pollen and honey mead. 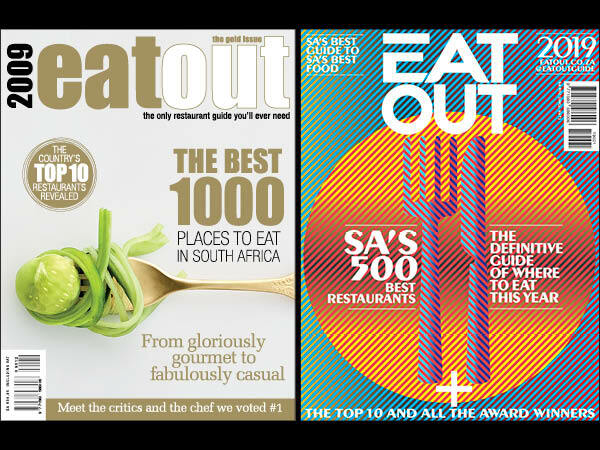 To see all the winners of the 2016 Eat Out Mercedes-Benz Restaurant Awards, click here.